•	Over the Christmas Period the UK on average will spend 2.2 hours indulging on food and 2.6 hours drinking alcohol per day. •	As a result, skin becomes dehydrated, teeth are stained and hair becomes brittle. •	Detox and renew this January without breaking the bank. The festive season is well and truly over and as dull, cheap and dry January settles in, it is time to address the problems of our dehydrated, tired skin, brittle hair and stained teeth by indulging in a rejuvenating January detox. Banish the festive hangover and refresh by following these quick and simple detox steps. Matcha green tea contains high levels of catechin polyphenols which prevents damaging alcohol toxins from recirculating in the body. It also encourages the body to make more gluthathione a liver antioxidant which makes it easier for your body to process alcohol. Whilst adding turmeric to your diet will ease the digestion of rich festive foods, cleansing the body of toxins and stimulating the liver and gall bladders production of bile to improve digestion. Consuming excessive amounts of sugar and refined carbohydrates dehydrates skin and lowers moisture levels. Hydrate your skin by drinking at least two litres of water a day or by applying a moisturising sheet mask. Over indulging in alcohol also triggers breakouts, hormone disruption and puffiness. To reverse this, incorporate retinols into your skin routine by purchasing a serum or moisturiser with a high concentration. Retinols increase cell turnover and encourage the production of collagen to improve skin tone and texture. Despite mulled red wines velvet and satisfying taste, the presence of chromogens attaches to cracks in the enamel, staining your teeth red. Whilst the acidity of red wine deteriorates enamel further making teeth staining even more prominent. Using a toothpaste daily that contains activated charcoal technology such as White Glo’s Charcoal Deep Stain remover toothpaste will eradicate stains by absorbing colour particles to leave teeth sparkling white. The low abrasion formula means that this product is suitable for everyday use, completely detoxifying the mouth and whitening teeth. Doing Veganuary? Then switch to White Glo’s Pure & Natural toothpaste. With no SLS, SLES, Fluoride or bleaches, Pure & Natural provides the perfect companion to combating those hard to tackle stains. Alcohol dehydrates hair making it brittle and more prone to split ends. Using coconut oil cleanses the scalp and removes dirt, eradicating split ends and hair dullness. Apply by rubbing warm coconut oil onto wet hair and leaving on for one to two hours before washing out. Alternatively, try Aloe Vera gel, the proteolytic enzymes remove dead skin cells, whilst it also promotes healthy hair growth and prevents split ends by having anti-inflammatory properties. January is the perfect time to go for a more minimalistic makeup look allowing pores to breathe. Instead of opting for a foundation, add a touch of moisturiser to your foundation for a lighter look. Apply concealer on minimal areas to avoid a flaky look and make your lipstick shade subtler by applying with a damp brush. 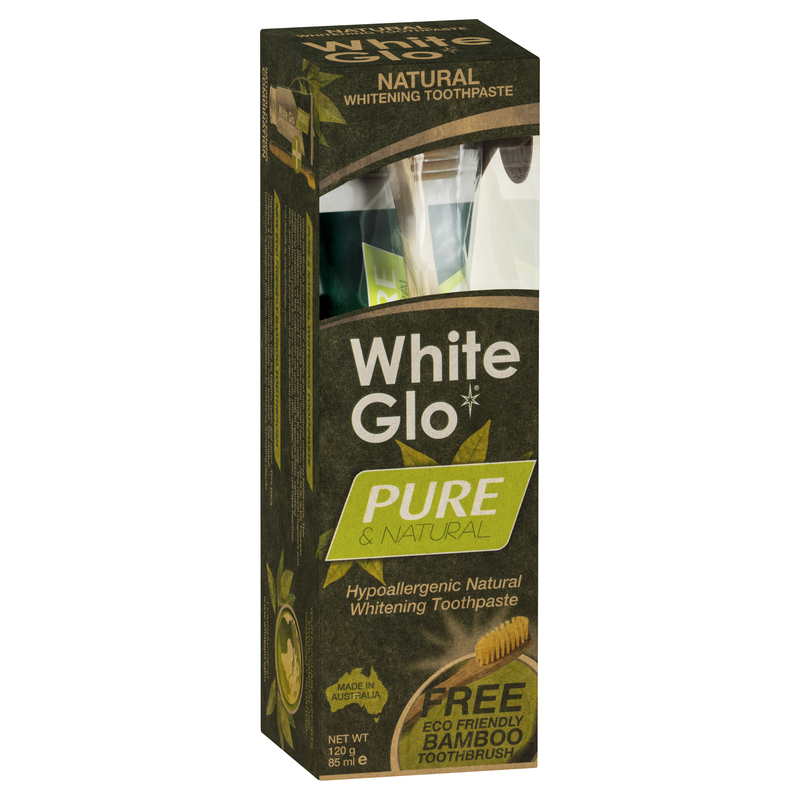 White Glo is approved by the Australian Dental Association.